Game Information: Microgaming are quite possibly best-known for producing some of the most lucrative progressive jackpot pokies ever created and King Cashalot is most certainly amongst its top five. This progressive pokie was first introduced to an eager online pokies community back in 2004 and has since gone on to make more than its share of instant millionaires! King Cashalot is one of the most accessible progressive jackpot slots in the industry, offering a low fixed coin size that will suit any player’s budget. The gameplay is also quite simple and easy to follow and it really won’t take long for even the most novice of pokies players to start recording winning totals. With a fixed coin value of just 0.05, this is one of the easiest and most economical of any progressive jackpot games to try your luck at. The game is ideal as a first time progressive and will not only potentially earn you a massive payday, it will also teach you the ropes on how progressive jackpot pokie games work. The King Cashalot symbol is the games wild and it comes in handy when trying to make great winning combinations. The wild symbol will substitute any other symbol other than the games scatter symbol to make winning combinations quicker and more easily. There are essentially two scatter symbols in King Cashalot, the Jester symbol and the dragon symbol. Getting two or more jester symbols on a spin anywhere across the reels will reward you with a cash prize, while getting three or more dragon symbols anywhere across the reels will trigger the games bonus round. The bonus round in King Cashalot is automatically triggered when three or more dragon symbols appear across any of the 5 reels. It is important to keep in mind that progressive jackpot slot games are best played at max bet all the time, as this will give you the biggest wins. In the bonus round all that you need to do is pick a treasure chest to reveal the bonus amount of money that you have won. This is where betting max really comes in as the game will then calculate a multiplier for your total based on the number of coins and paylines wagered. King Cashalot is set in medieval times and is centred on a royal banquet. The graphics are simple and cartoon like, making this progressive light-hearted and fun to play from a visual point of view. The cartoon-like characters include the king, his queen, a jester and a number of delicious-looking banquet delicacies. The sounds are also very cheerful and offer a medieval musical background with loud trumpets heralding winning combinations. 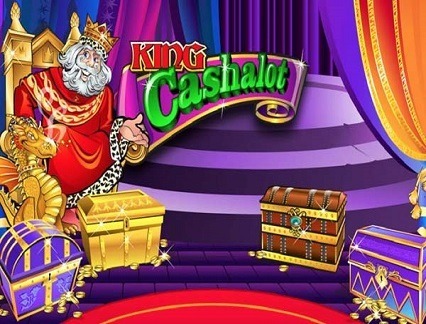 While King Cashalot may be one of Microgaming’s oldest progressive jackpots, it still offers a high volatility platform that has paid out millions throughout its history. 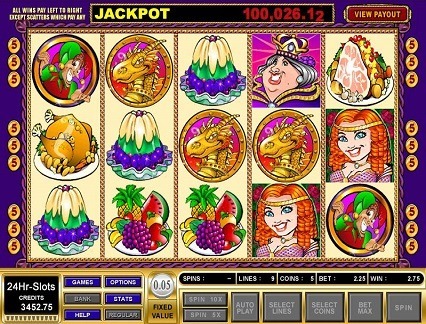 The games minimum jackpot total is $100,000 but most often pays out well in excess of $500,000. One of the biggest recorded progressive jackpot wins recorded on this game was in 2012 when a lucky spinner won an estimated $1.5 million in a single spin. 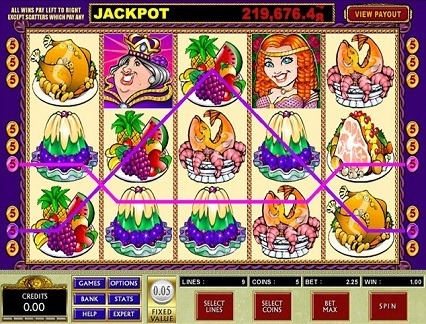 Of course to win the big jackpot payday, you will have to be at max bet with max coins and paylines with the hopes of landing 5 King Cashalot symbols across the ninth payline. King Cashalot is one of the most simple of all Microgaming progressive jackpot slots and the main special feature found in this game is the progressive jackpot itself. The game does also feature excellent wilds and scatters, both of which can yield great totals as well. The bonus round also offer the chance for good earnings, provided you play at max be, max coins and max paylines. The game can also be played on Microgaming’s Expert Mode.